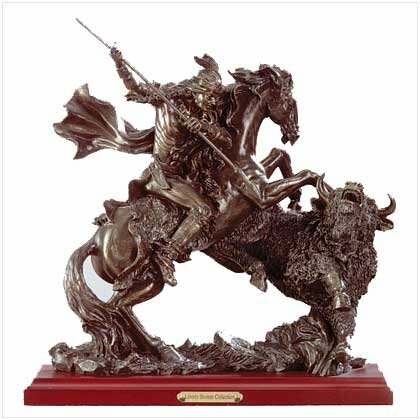 One of the most impressive pieces from the Liberty Bronze Collection, this bronze-finish sculpture captures a high plains battle for survival between man and beast. Polyresin with wood base. Measures: 11 1/4" x 5 1/4" x 11" high.